Designing Domesticity: Do You Want to Build a Snowman? 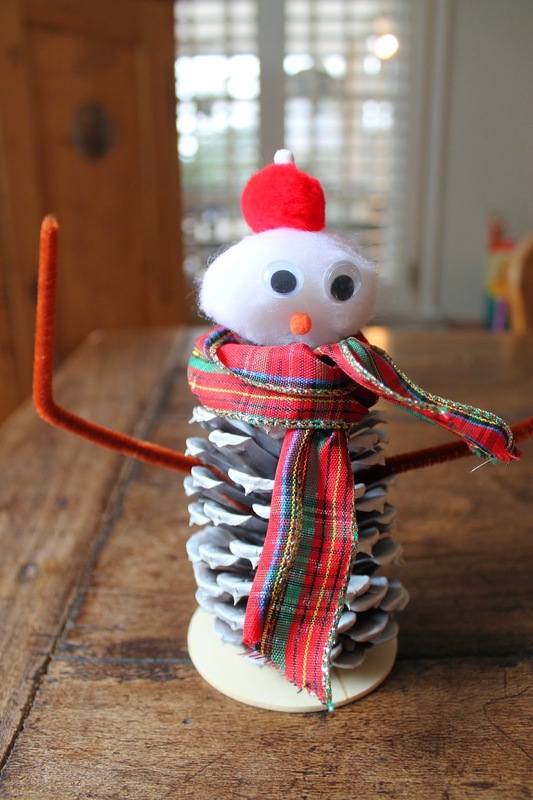 As Elsa, Anna and Olaf take the world by storm, I thought...wouldn't it be fun to build a snowman with the kids as a holiday craft? 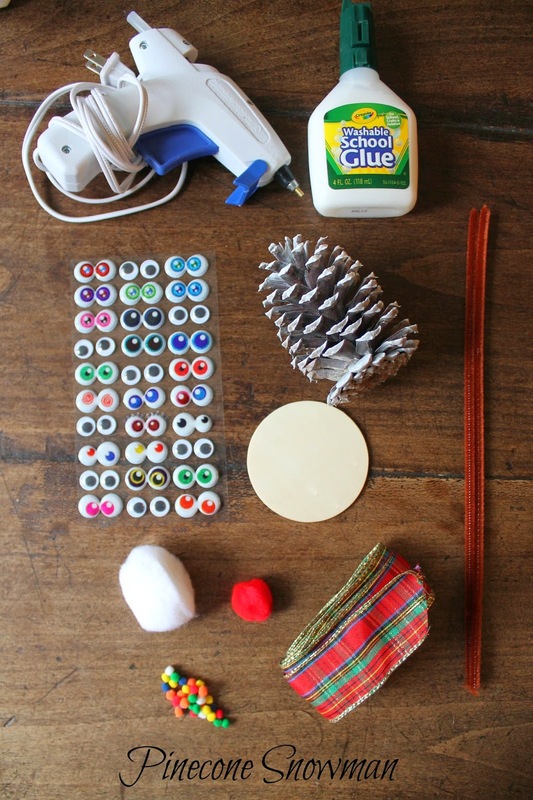 A pinecone from the yard, hit with a bit of white spray paint, pom-poms in assorted colors, wood disks (could also use tree trunk slices if you are crafty like that), pipe cleaners, left over ribbon, eye stickers and glue. Of course, if your audience is above 3 you could probably get away with using the multi-colored pom-poms for eyes. The point is, these are not overly hard to find or terribly expensive supplies - which is a good thing. 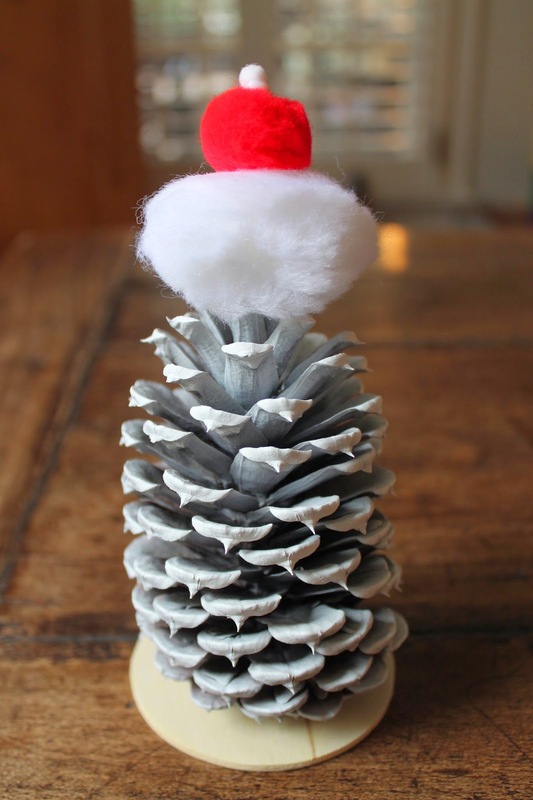 Before I let the kids run wild with this little snowman project, I sprayed the pinecones and let them dry. Actually John did that bit because I'd just had my nails done…a girl has to know her limits after all! 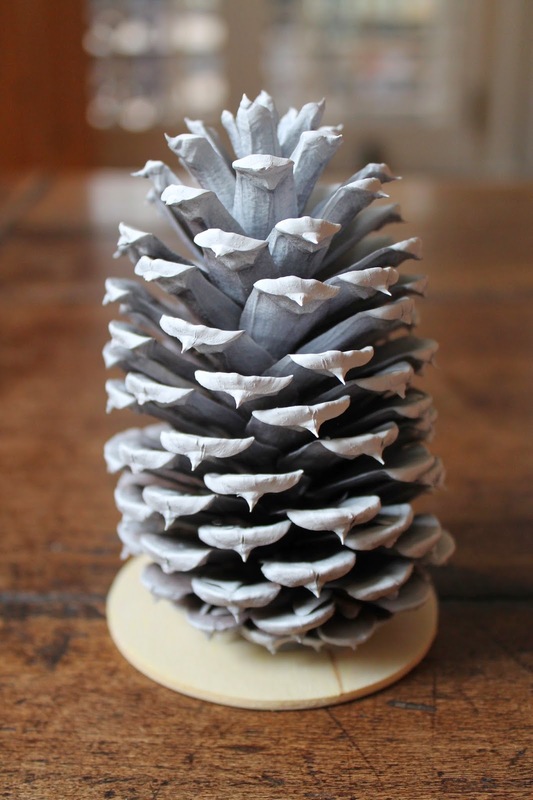 Then I adhered the pinecones to the wood base with hot glue. We glued white cotton balls/pompoms to the top to serve as the head and topped the head with a red pom-pom to create the hat. Some kids got crazy and added other smaller pom-pom to the hats for extra flair. Kids love flair. Speaking of flair - how about some pipe-cleaner arms, a ribbon scarf (although yarn would have been just as cute! ), some eyes and a nose. Ok, to be fair, I did this one…but the kids really got into it as well, especially with those eye stickers. Oh, yes, we definitely have some budding artists on our hands! Now when your kids are endlessly singing Do you want to build a snowman? you can finally say, YES!